Unique Home Care Services is committed to being a quality employer. Unique Home-Care Services is looking for hardworking, trustworthy, and dependable staff members. 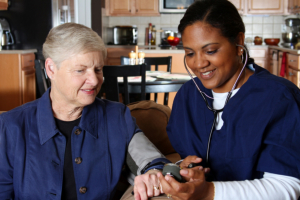 UHCS trains each individual home care aide to ensure our client’s peace of mind. We know that caring for loved ones can be very challenging, but UHCS is guided by our passionate commitment to help seniors, and parents of disabled children achieve the highest quality of care that is needed for life. Our caregivers are able to provide qualified, compassionate care for individuals who are disabled, recovering from illness or surgery, or chronically ill or frail.Our Caregivers serve as either regular primary Caregivers, providing long or short-term care, or as respite help to family members who may need some time off. We will make every effort to put our client’s and their family’s minds at ease. Unique Home Care Services accepts applications form individuals who are interested in starting a career with us in the home care industry. If you wish to apply, please fill out the form below. Thank you for your interest and we will be contacting you for an interview.